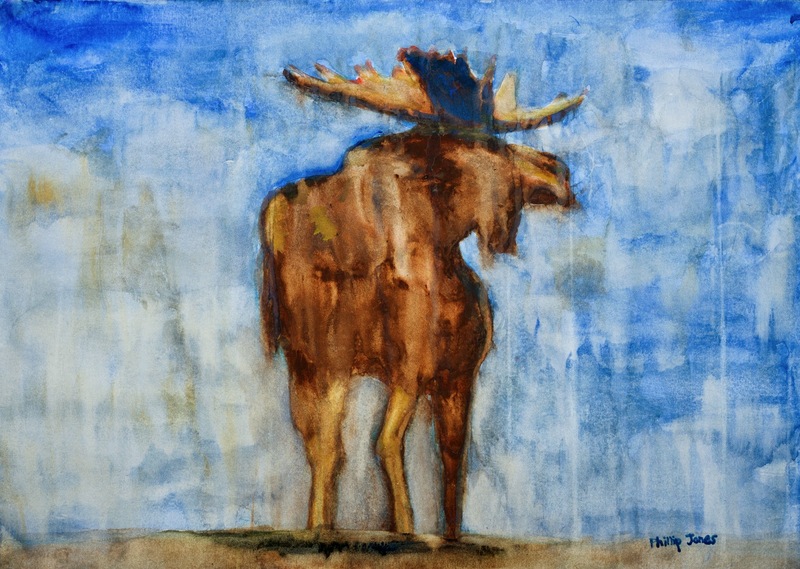 Another moose painting. I did this one quite quickly. Maybe two hours, tops. Mostly trying sort of a drip look. But I took some pains with the shape as well. Not so much with the colour. I quite like it. 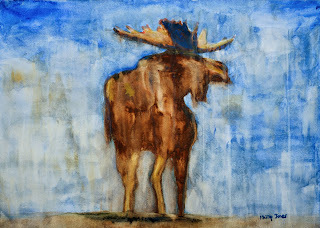 I thought the rack on the last moose painting might be somewhat of a fluke. I really liked that part of the painting. But these ones turned out quite nice too. So perhaps it wasn't so much a fluke. The reason I didn't take so much time was that I intend to start tracking my 10,000 hours painting. These being the first two. So I didn't want to get too detail orientated. Not sure if the logic is quite right there. Probably more because I'm not a detail orientated kind of guy. In painting at any rate, I like to use a big brush. If I spend 10,000 hours, I'm sure I'll come across the colours and style that's mine without fussing too much about it in the first two hours. However pro athletes are always saying they practice hard. So that's a totally opposite philosophy.